Impressive mobile-friendly website built to provide the best experience for your clients. 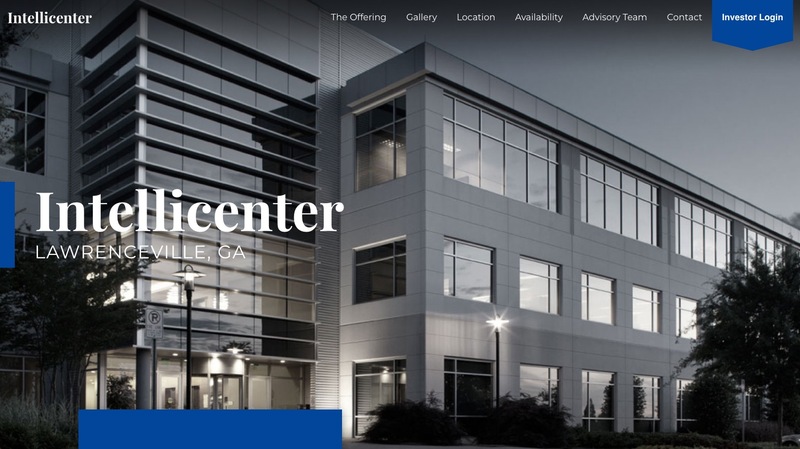 Customized with your logo and branding colors, your website includes everything to feature key building information: property description & specifications, amenities list, interactive photo gallery, google map integration, floor plan PDFs, tenant services and lead capture form. 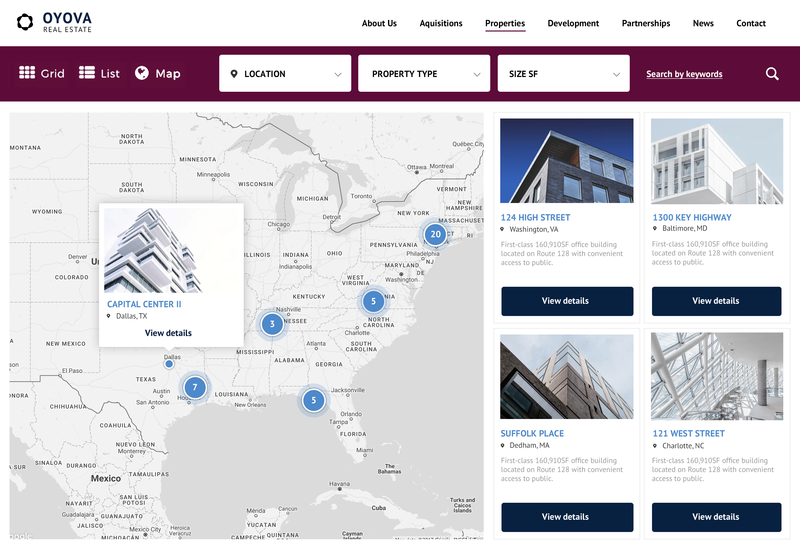 Automatically display your property listings on your company website with a fully custom property search experience tailored to your brand with a variety of layouts and filtering options and directly updated on your company website in real time. Highlight nearby local amenities with a custom interactive map. 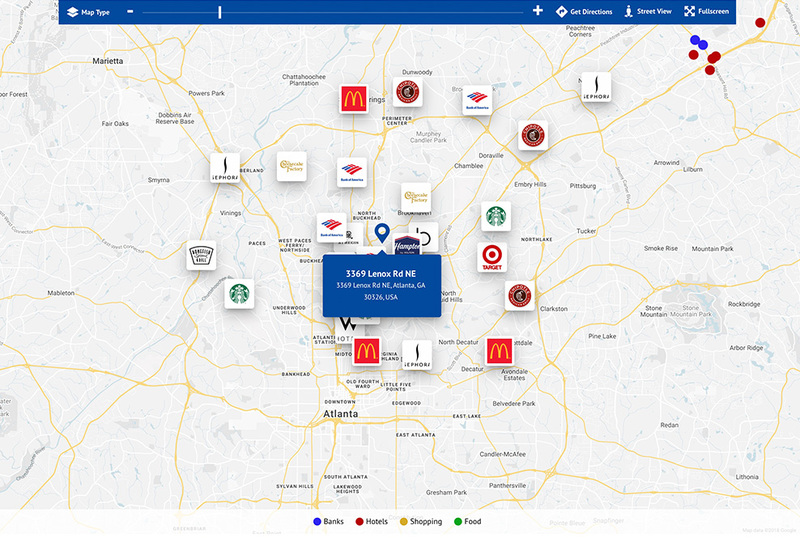 Use our mapping software to create a powerful map to help engage your online visitors and increase the chance of converting them to prospects. Sharplaunch cuts out the clutter with an online document portal so you can simply and securely upload and share your documents with your clients. From confidentiality agreements to property presentations, offering memorandums and tenant manuals, you can set permissions and organize your files however you want. 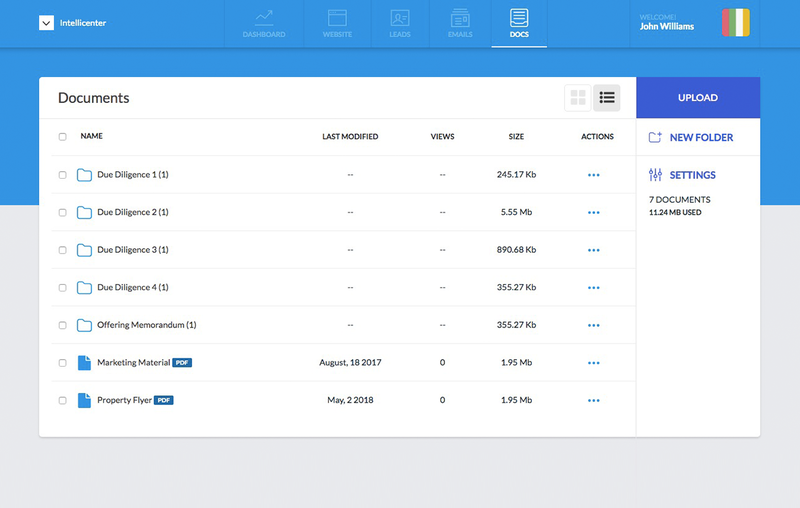 Track and keep a history of visitors that are accessing your website, what documents they are viewing, and when they are logging in so you can follow up better. 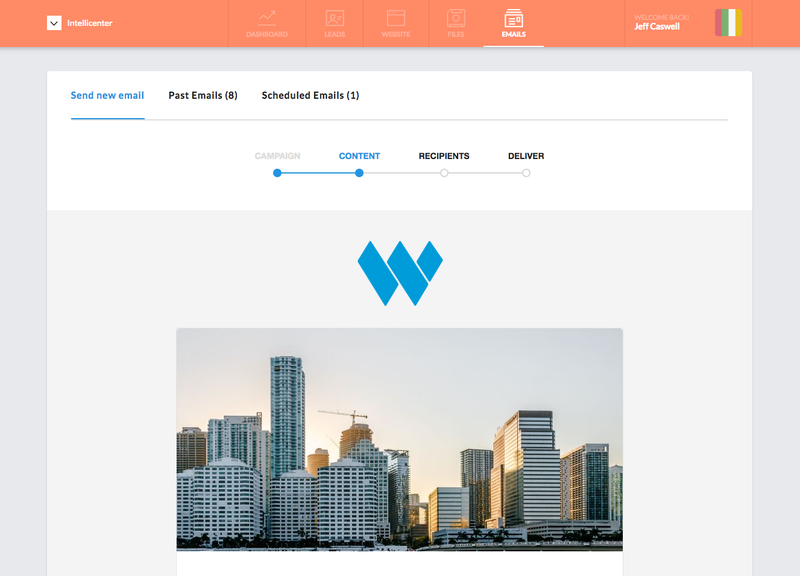 Create beautiful and professional mobile-friendly HTML email campaigns to market your commercial properties from any device. 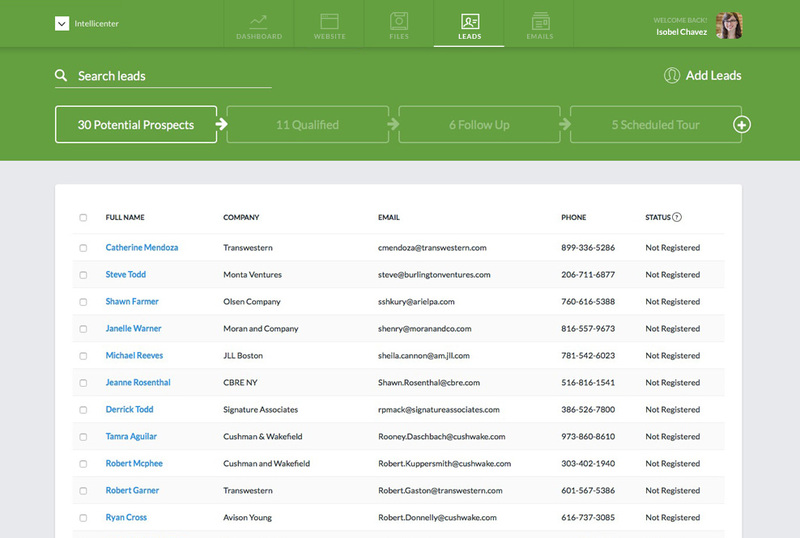 Track your email performance to see who opens and clicks. Track your property’s online performance in real-time from your marketing analytics dashboard. 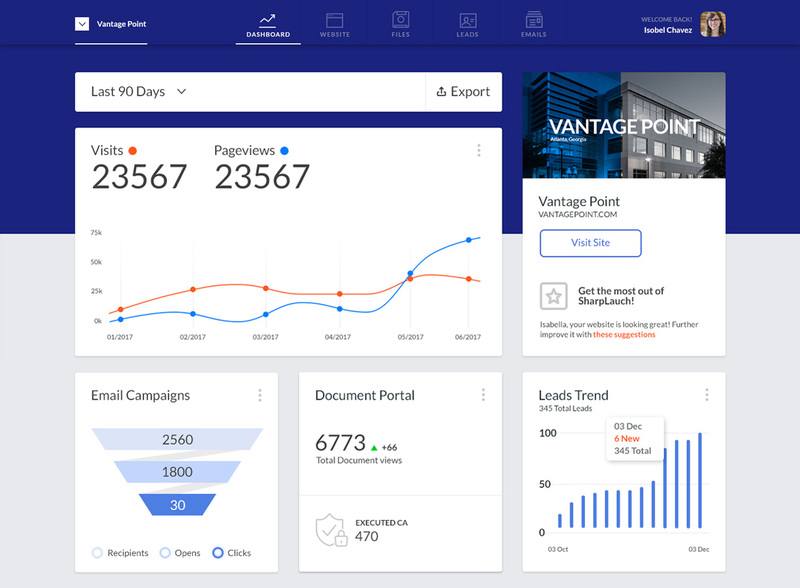 Get the latest activity about online visitors, traffic sources, potential leads contacting your brokers, file download activity, and much more.